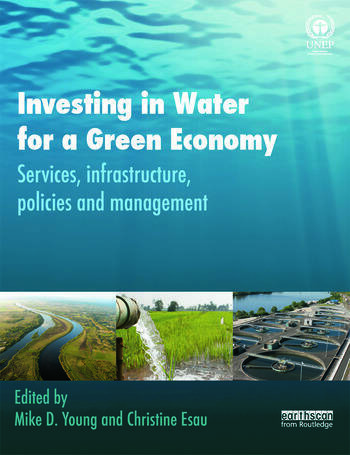 In the context of the economies of the world becoming greener, this book provides a global and interdisciplinary overview of the condition of the world’s water resources and the infrastructure used to manage it. It focuses on current social and economic costs of water provision, needs and opportunities for investment and for improving its management. It describes the large array of water policy challenges facing the world, including the Millennium Development Goals for clean water and sanitation, and shows how these might be met. There is a mixture of global overviews, reviews of specific issues and an array of case studies. It is shown how accelerated investment in water-dependent ecosystems, in water infrastructure and in water management can be expected to expedite the transition to a green economy. The book provides a key source of information for people interested in understanding emerging water issues and approaches that are consistent with a world that takes greater responsibility for the environment. Mike Young is Executive Director of the Environment Institute and Professor of Water Economics and Management, University of Adelaide, Australia. Christine Esau is a consultant and editor based in Adelaide, Australia.